Do you want your new TV flush against the wall like a work of art With the F2337, you get the perfect solution for mounting your TV very close to the wall while still providing room for cables. Quick release cords allow you to access connections and easily move the placement of your TV without reinstalling. 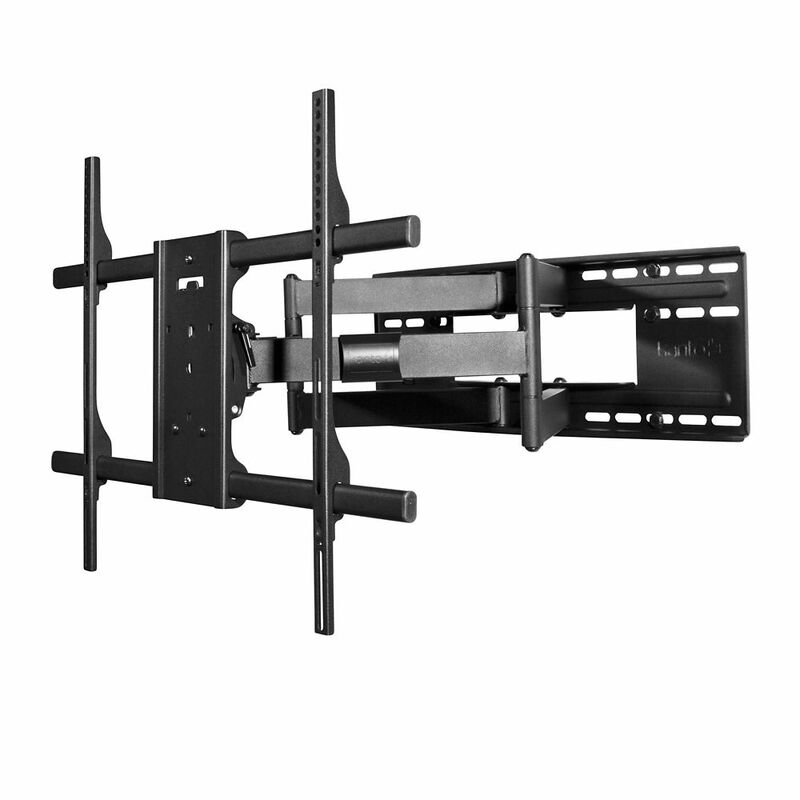 This fixed TV mount is designed to carry up to 100 pounds, and works with a wide range of VESA patterns. Compatibility, strength, and sophistication. For stationary installations that do not require a range of motion, the F2337 is the mount for you. Designed for patios, decks and balconies, the PDX650G full motion wall mount provides a weather-proof solution to mounting your TV outdoors. Along with stainless steel hardware, its galvanized steel frame and powder-coated finish help to prevent rust and protect against wear and tear. Built for TVs measuring up to 75 inch, this outdoor mount sits 2 inch from the wall and offers 22 inch of extension, allowing you to pan, swivel and tilt your TV into the optimal viewing position. Wall plate covers are included to ensure a clean installation, while integrated cable management keeps your cables safe and out-of-sight. FMX3 Full Motion Mount for 40-inch to 90-inch TVs The FMX3 is designed for flat screen display's measuring up to 90" and weighing less than 150 lb. This full motion mount gives you amazing range of motion, letting you enjoy your TV to the fullest. Featuring up to 28 of extension and coming pre-assembled with dual heavy-duty steel arms, the FMX3 is simple to install and offers incredible extension, tilt, and swivel capabilities.